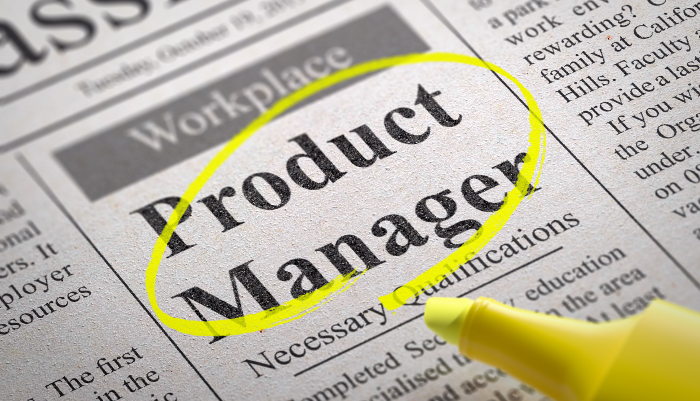 So, What IS Product Management, Anyway? Product Managers represent the end user, the market, and the customer within an organization. Product Managers identify valuable problems to solve for a target market. Product Managers describe problems in a way that stakeholders, management, and development can understand and act on. Product Managers validate proposed solutions with the end user, the market, or the customer. Product Managers have influence over strategic and tactical decisions made at all levels. It’s not perfect (it’s too long, for one), but it helps to clarify my personal view of the role. While that’s a great list of things that Product Management is, the biggest problem that someone looking at a Product Management role faces is knowing what Product Management isn’t. Managing time, scope, and resources on a team or department basis. Creating market-ready messaging, positioning, or collateral. Graphic design, visual design, or deep interaction design. Managing external agencies unrelated to identifying valuable market problems. All of those things belong to other disciplines: Project Management, Marketing, and UX to be precise. This isn’t to say that Product Managers shouldn’t have some capability in these areas, nor that they shouldn’t be contributors to those goals, only that these things should not be the primary responsibility of a “true” Product Manager. All of these things are important and must be done; but to be done right and to the best of a person’s ability, companies need to ensure that the people doing these things have the proper training, background, and skill set to excel at them, not just do their best job with limited understanding or resources. If you have those skills, you should certainly leverage them in your day-to-day work as a Product Manager, but you shouldn’t let yourself get sucked into performing these tasks on a regular basis in lieu of strong team members specifically assigned them — the exception, of course, is in a small startup, in which case all of this goes right out the window. Good summary and write up. However, every company I have been at, from a smallish mid cycle operation to Fortune 500 companies has preferred the more expansive view, what I like to call “Product Janitor”. My current boss seems to think that because I update the gantt chart once a month, I am also the project and program manager for our three biggest programs. And it goes down hill from there. Great post! Agreed on your perspective. A PM’s work needs to be timely, but over-rushing should not compromise a product’s value to the end user. Small edits to tighten the description? Thanks for this! Going to reference it often when people ask me about product managers :). As you say sometimes, really always, Product Managers are “Jack of all trades” and sometimes, especially if you work in a small company, there is a narrow frontier with another jobs such a Project Manager especially in the tasks of “Managing time, scope, and resources on a team or department basis.” Finally your job is a mix between Product Manager and some tasks of Project Manager. While a Product Manager might be asked to do some project management work, all too often in situations like you describe, that’s really ALL that they wind up doing, and they are just “Product Manager” in title only. If you’re not spending more of your time in contact with your customers and market than you are managing time, scope, and resources, you’re really just a Project Manager with a fancy title on your business card.